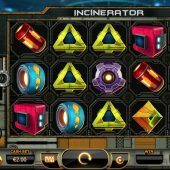 Incinerator slot is an unusual theme about turning space junk into valuable assets - very outside the box thinking there! 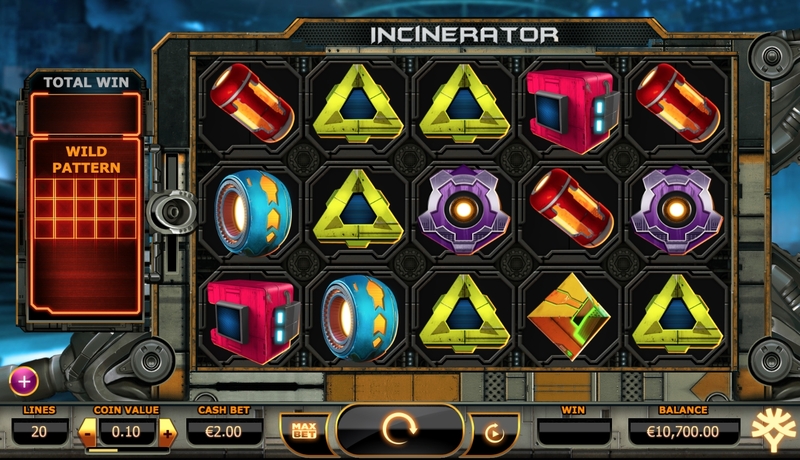 The game has been developed by Yggdrasil Gaming and has 5 reels over 3 rows, and 20 paylines in total. This slot does not contain a free spins feature but it does have the cascading reels so popular in games like Da Vinci Diamonds and Gonzo's Quest. Extra Wilds are added into the game when you get 3 cascading reels in a row – with up to 6 Wilds maximum that can be added.This slot has a Theoretical return to player (RTP) is 96.10% and I would certainly consider it to be medium to high volatility. Other top slots from Yggdrasil include Vikings Go Berzerk and Super Heroes.